Having a high stake tax problem, or a tax controversy matter? Taxpayers facing back tax debt, or being invited by the IRS or the state for a tax audit have the fundamental right to be represented by a licensed power of attorney (POA), simply known as representative. Tax professionals, power of attorneys, have different skill set levels, education and expertise. 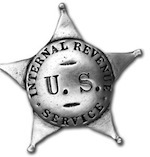 There also are several different types of credentials as approved by the IRS and the US Treasury. 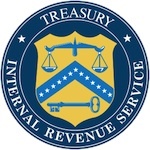 For 2013, any tax professional with an IRS Preparer Tax Identification Number is authorized to prepare federal tax returns, but NOT to represent before the IRS. UNLIMITED REPRESENTATION RIGHTS: Enrolled Agents, certified public accountants, and attorneys are granted unlimited representation rights before the IRS and may represent their clients on any tax matter including audits, payment/collection issues, and appeals. Enrolled Agents – Tax professionals with this credential are licensed by the IRS and specifically trained in federal tax planning, preparation and representation. Enrolled agents hold the most expansive license that the IRS grants and must pass a suitability check, background check, as well as a three-part Special Enrollment Examination, a comprehensive exam that covers individual tax, business tax and representation issues. They complete 72 hours of continuing education every 3 years. For more information on enrolled agents, see Publication 4693-A, A Guide to the Enrolled Agent Program. Certified Public Accountants – Tax professionals with this credential are licensed by their respective state boards of accountancy, the District of Columbia, and U.S. territories, and have passed the Uniform CPA Examination. They also must meet education, experience, and good character requirements established by their state boards of accountancy. CPAs must also comply with ethical requirements as well as complete a specific level of continuing education in order to maintain an active CPA license in their state. CPAs can offer a range of services (most like bookkeeping, financial statements, assurance services); some CPAs specialize in tax preparation, representation and planning. Attorneys – Tax attorneys/lawyers with this credential are licensed by their state bar or courts. Generally, requirements include completion of a degree in law, passage of an ethics and bar exam and on-going continuing education. Attorneys can offer a range of services; some attorneys specialize in tax preparation, representation and planning. See our BEWARE report and be informed by CLICKING HERE. REMINDER: Everyone described above must have an IRS issued preparer tax identification number (PTIN) in order to legally prepare your tax return for compensation. Make certain your preparer has one and enters it on your return. Our boutique tax representation firm is led by Mike Habib, an IRS licensed Enrolled Agent. Mike is also a fellow at the National Tax Practice Institute and specialize in representing taxpayers before all levels of the IRS and state tax agencies. Call him directly at 1-877-78-TAXES [1-877-788-2937]. Getting an IRS audit letter, or a BOE sales tax audit, or an EDD payroll audit is a serious matter, and when high stakes are involved, you need to contact us right away. Back taxes are high stakes too, do not be a victim of scare tactics and demands by the taxing agency, you have rights, you have options, and we will make sure you get them. Call us today at 1-877-788-2937, you'll be glad you did. You will always deal with Mike Habib directly, he will be your power of attorney, no sales people, no case managers, no games.